One of the most popular destinations in Japan is Kyoto, a land where Japanese customs, landscapes and traditional Japanese cuisine can be fully enjoyed. There are numerous restaurants around the city that serve amazing dishes, and choosing which ones to visit is no easy feat. Here are 13 great restaurants to hit when in Kyoto! Kamogawa Takashi is a famous restaurant that is best known for their high-quality beef. Oumiushi, an acclaimed beef brand from Shiga prefecture is served in Kamogawa Takashi. Do not be deterred by this name, because Kamogawa Takashi is one of the shops where you can enjoy amazing Oumiushi for just 500 JPY (5 USD)! There are two lunch menus available in Kamogawa Takashi - the "Kanjuku Oumiushi Sumibi Yakigozen" and “Oumiushi Yanagawa Don”. The latter is the famous high-class dish that costs only 500 JPY (5 USD). 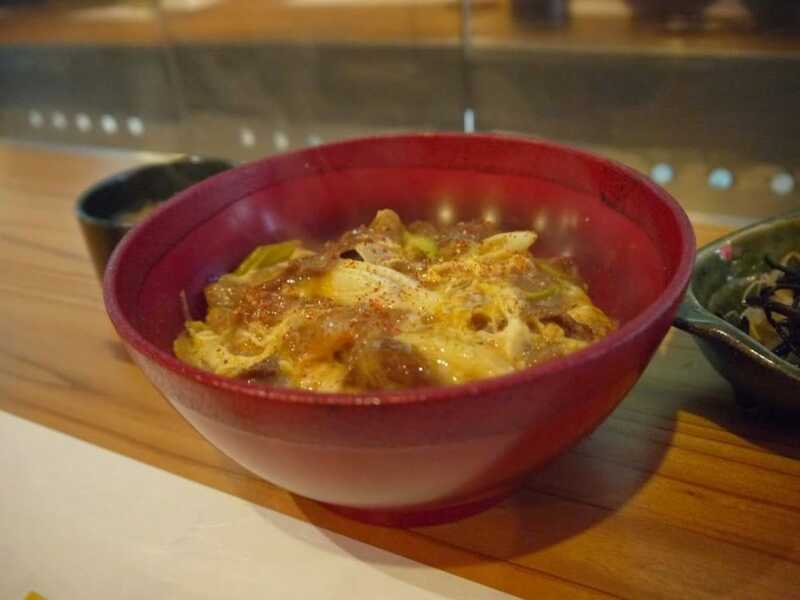 You will be served with a beef Donburi (Donburi is a type of Japanese dish with ingredients served on top of rice) together with home-made Miso soup. The fragrance and texture of the beef, together with the original sauce of Kamogawa Takashi is just fantastic. The Oumiushi Yanagawa Don sells out quickly during lunch hour, so it is recommended that you have an early lunch at about 11 am to enjoy it. 12. Warabeuta: what is Obanzai lunch? Obanzai is a traditional Kyoto cuisine which have been served in homes since the olden days. Local ingredients such as seafood and vegetables that are in season are used to cook Obanzai dishes. Warabeuta is one of the cafés in Kyoto where you can delight in delicious Obanzai lunch. The restaurant is located in a retro area and uses a building that was built over 80 years ago. The fashionable café blends in well with the streetscape. Among the various dishes available on the menu, it is recommended that you try the Warabeuta lunch. It is an Obanzai lunch with 9 types of different Obanzai such as croquettes and spinach which change according to season. 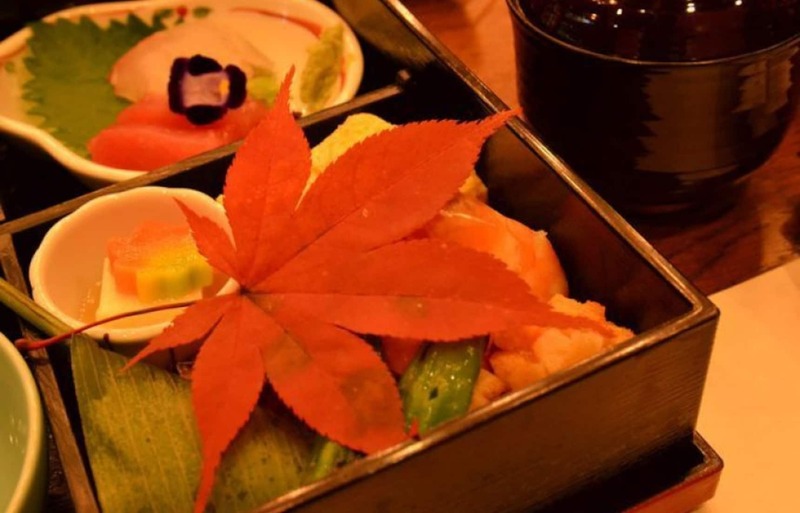 This is a fantastic choice for a filling and delectable traditional Kyoto cuisine! Kyoto Gyoen National Garden is one of the tourist spots in Kyoto where you can enjoy the beautiful natural landscapes of Kyoto together with the Japanese-style garden. Located in Kyoto Gyoen National Garden resting point is an eatery called Nakadachiuri Kita Kyukeijo Shokudo. Various dishes are available in this eatery, including curry Udon, and Kitsunedon (Donburi with deep-fried tofu). It is recommended that you try the Konohadon set where you will be served a Donburi with mushrooms, deep-fried tofu and scrambled egg together with soup. This fantastic Donburi is a famous menu in Kyoto that is often served in schools. Make sure you try the Konohadon to feel what it is like to be a Kyoto local! The Edo period spanned across Japan from year 1603 to 1868, giving rise to various historical events and traditional food as well. At Minagawa, a soba store located in the Kitashirakawa area, you can enjoy delicious Edo-style soba noodles. The home-made soba noodles in Minagawa is available both hot and cold. Among the various menu available, it is recommended you try the Ajigasane. You will be served two different types of soba, both made from the same ingredients but with different proportions. Comparing the two different types of soba allows you to understand the effort and custom behind Japan’s soba culture. There are also other side dishes such as Obanzai available so do add Minagawa to your to-go list!